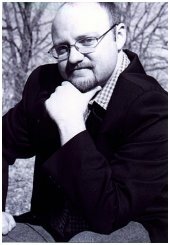 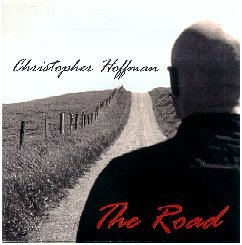 In 2002 Christopher Hoffman released an excellent CD, called "The Road," and in 1994 Joe Simmons' project was "Singing Out." 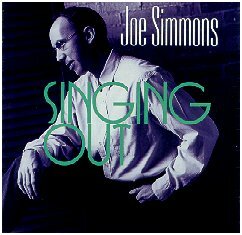 He was a fan of the writing of NYC singer/songwriter Tom McCormack, as his CD included two of Tom's songs. 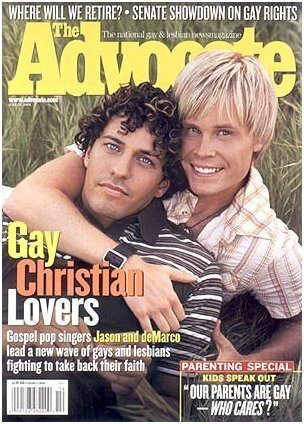 And I'm a big fan of Tom as well. 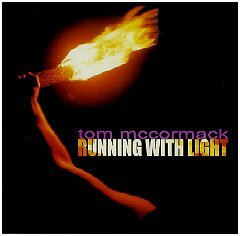 He released on cassette "Running With Light" in 1991, and I thought it was extraordinary, and was one of the people who nudged him that he really, really needed to release it on CD, which he did, in 2001. 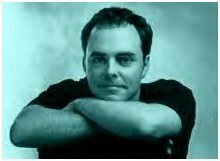 You can hear a short (and long) versions of an interview with Tom on my QMH show for February 2002. 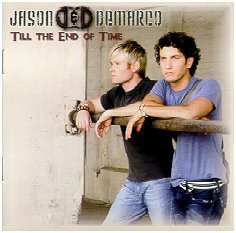 No, I don't have all of the releases of Jason Warner and deMarco DeCiccio, but I'm working on it. 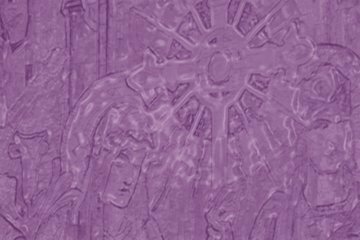 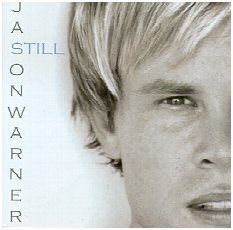 Jason's first few CDs are now out of print, but he's included the best of those tracks in his 2004 release, "Still." 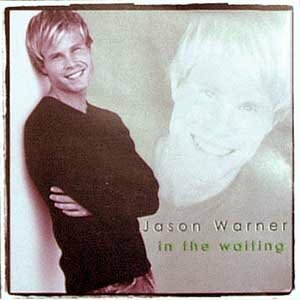 Jason's earlier discs included "Only a Whisper" (1999) and "In the Waiting" and "Mercy Said No." 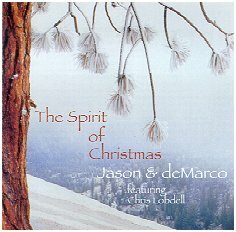 As a duo they released "The Spirit of Christmas" (2002), "Songs for the Spirit," (2003), "Spirit Pop," (2004), and in 2005, "Til the End of Time" and the remix CD of one of its tracks, "Trying To Get To You." 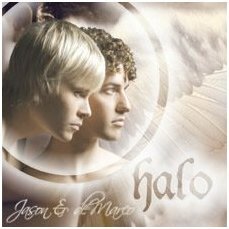 December of 2006 marks the release of "Halo." 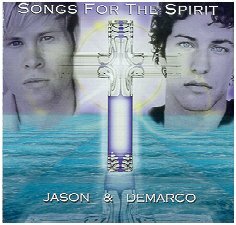 Below, I was delighted to see Jason & deMarco perform in June of 2005 at Maranatha House of Glory in Houston, and then do my second interview with them that same weekend. 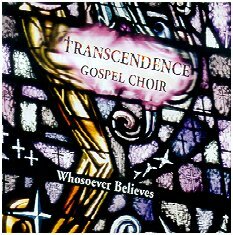 I ended Part 5 with the Transcendence Gospel Choir, and chose them to end the entire marathon, this time with "Safe in the Arms of Jesus," from their CD "Whoever Believes." 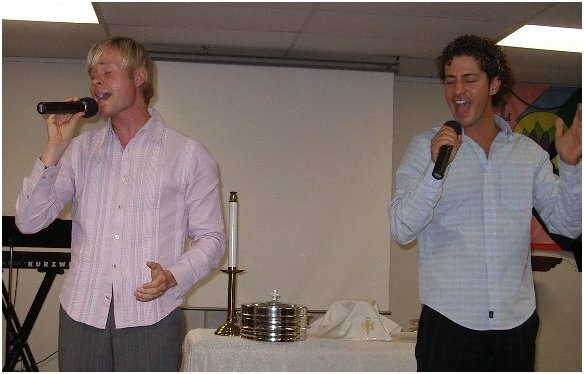 That CD won the Outmusic Award for 2004 in the Chorus/Choir category.